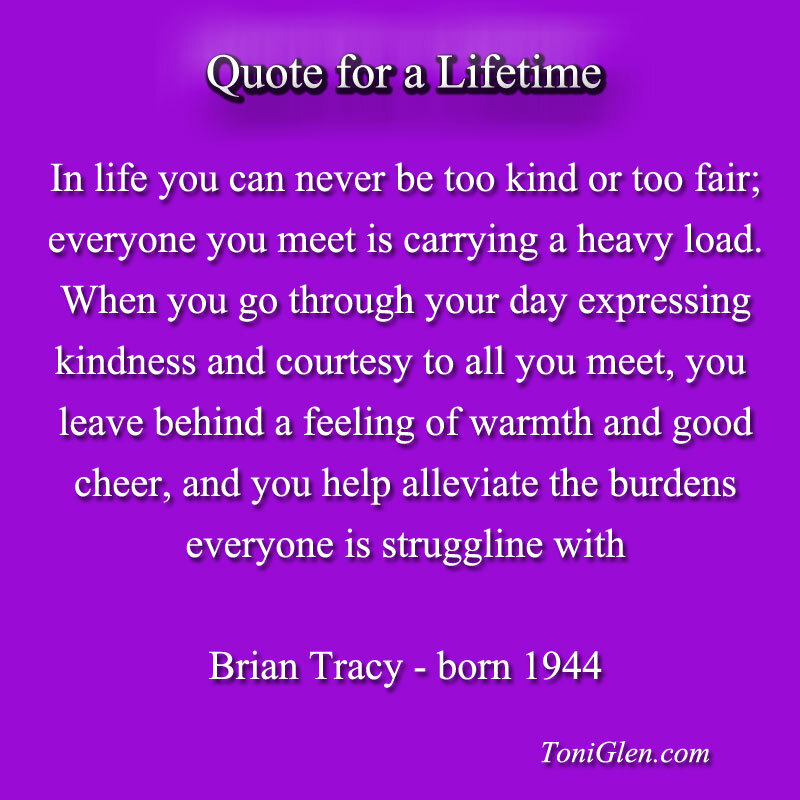 In life you can never bee too kin or too fair; everyone you meet is carrying a heavy load. When you go through your day expressing kindness and courtesy to all you meet, you leave behind a feeling of warmth and good cheer, and you help alleviate the burdens everyone is struggling with. This entry was posted in Quotes and tagged compassion quotes on April 13, 2012 by Glen Williamson.